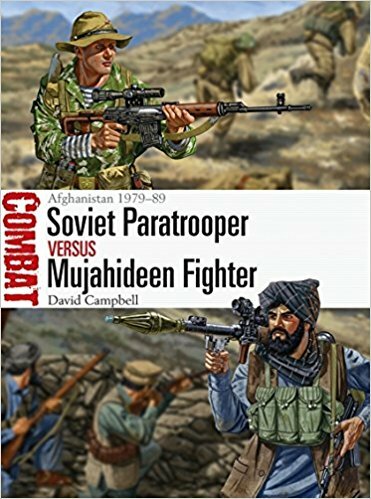 David Campbell's book looks at the Soviet invasion and occupation of Afghanistan and the subsequent fighting between elite Soviet airborne units and the Mujideen fighters. Campbell provides an objective look at the strengths and weaknesses of both types of soldiers, which was a bit of an eye-opener for me. I assumed that only first-class officers were assigned to airborne units but it seemed leadership was an element lacking in the Desantiya units deployed to Afghanistan, especially since NCOs were poorly picked and poorly trained. The Mujideen, for their part, were poorly organized but did have a kind of "mobile force" to supplement the local fighters who would take the initial brunt of fighting. Campbell uses excellent sources to tell the story of both sides in this book. Illustrated with original artwork and photos.